“For God so loved the world that he gave his one and only son, that whoever believes in him shall no parish, but have eternal life. 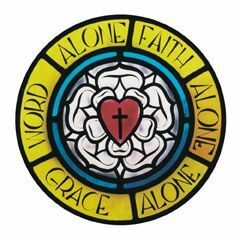 -Inform and renew members new and old of their responsibilities to Gods kingdom and their rights & privileges at Grace Lutheran Church. What is our unified goal? how our church has grown. Pastor David Johnson was called by the Minnesota North District of the Lutheran Church Missouri Synod as a Mission Developer in June 1997. He began splitting his time helping at Lord of Glory and making mission calls to the Becker area. September 2006 Dedicated a Baptismal Font Donated in Honor of Wes Nelson. August 2009 Held Annual Hog Roast as a Free Event to Reach Families in Need. “"If your brother sins against you, go and show him his fault, just between the two of you. If he listens to you, you have won your brother over. But if he will not listen, take one or two others along, so that 'every matter may be established by the testimony of two or three witnesses.' If he refuses to listen to them, tell it to the church; and if he refuses to listen even to the church, treat him as you would a pagan or a tax collector. "I tell you the truth, whatever you bind on earth will be bound in heaven, and whatever you loose on earth will be loosed in heaven. "Again, I tell you that if two of you on earth agree about anything you ask for, it will be done for you by my Father in heaven. For where two or three come together in my name, there am I with them."